I take a conservative, evangelical, economistical look at things. 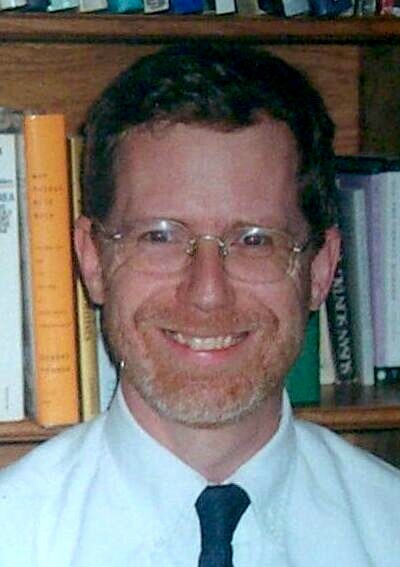 I’m an economics professor at Indiana University, a graduate of Uni High (’76), Yale (BA, MA ’80) and MIT (PhD ’84) and have been a visitor at Harvard Law, Yale Law, Tokyo Economics, and Oxford–Nuffield College, credentials I list here to intimidate and impress hostile commentors of humble origin and intellect. Those who think for themselves won’t care, of course, because they’ll be looking at my arguments rather than my status, and those with similar will know how foolish many of us in the elite are and will wonder why I live in Bloomington Indiana if I’m so smart. I stopped posting in 2010, but now, in 2013, I am thinking of resuming. My WordPress site from before 30 September 2007 is at http://rasmusen.org/x, but is not working at present. This weblog is mainly for myself, used as a commonplace book in which I put ideas, quotations, facts, and citations that I might want to use later. That’s why the topics are diverse and often esoteric. I’m not trying to build an audence or get a lot of hits on a counter. My impression is that most visitors arrive because search engines have led them to here and I’m one of the few websites in the world that address some key word they’re interested in. Since I am not writing for other people, especially (you will see the exceptions—things such as posts I also use as comments on other blogs, excerpts from letters or articles I have written or will write, and so forth), please do not think I am deliberately trying to offend someone or that I am cleverly pushing a hidden agenda. I’m not, simply because I don’t expect enough people to read this blog for such efforts to be worthwhile. Actually, I probably shouldn’t even fix my typos, and perhaps I’ll stop doing that. You’re weclome to read, and I’ll try to write well simply to avoid getting into bad habits, but I’ll not expend more effort than if I were writing this into a hidden fil in my PC. Some people question the wisdom of posting ideas on the Internet if some people might be offended. I disagree. This could not be a conservative, evangelical, and economistical blog otherwise. Many people hate these three ways of looking at the world. Many people—not in percentage of the population, but in number— would make such expression illegal. I have discovered, to my surprise, that a lot of Americans really do not believe in free speech. It is important for us not to be intimidated by them. Of course, we know that many people are indeed afraid, and afraid to say things everyone knows are true. I’m very happy to have found your blog. It’s one of the best, if not the best, I have ever seen. Not a big surprise, but a very pleasant one. Got you again in my reader.